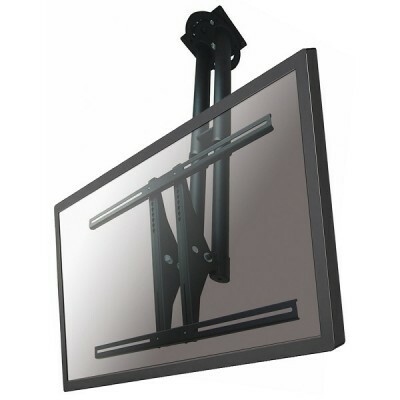 NewStar's versatile tilt (25Â°) and swivel (60Â°) technology allows the mount to change to any viewing angle to fully benefit from the capabilities of the flat screen. The support is easily height adjustable from 67 to 107 centimetres. If different heights are needed extension poles are available. An innovative cable management conceals and routes cables from ceiling to TV. Hide your cables in the column to keep it nice and tidy.